Christina's wedding dress corset (up top) is now lined (with a Liberty of London poplin) and fully boned. The adjustments needed after our most-recent fitting were relatively minor ones. 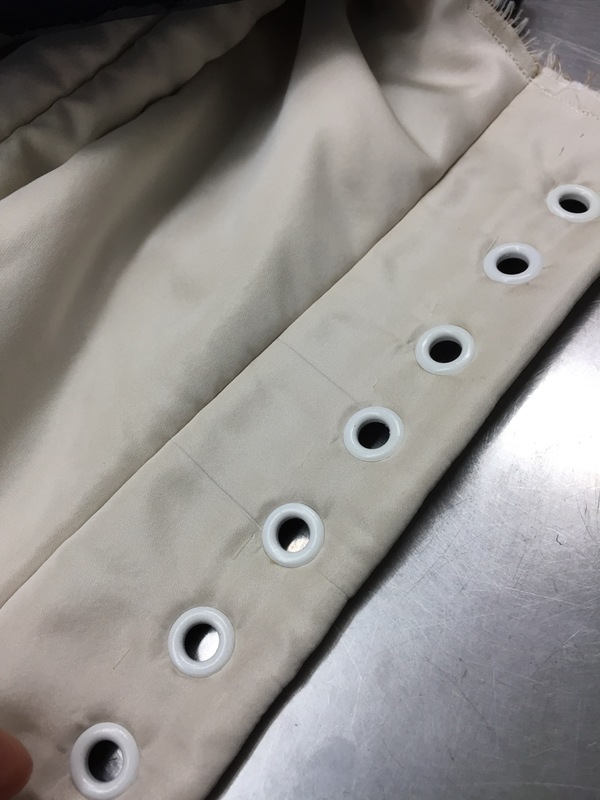 The center curves at the top bust needed more structure, so I have added a triple-layer strip of horsehair braid (which molds like bias) to the edge, stitched to the seam allowance beneath the lining. 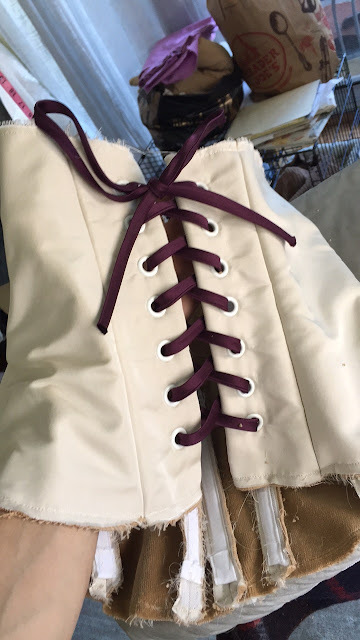 Today I worked on adding the French piping trim to the upper and lower edges of the corset. 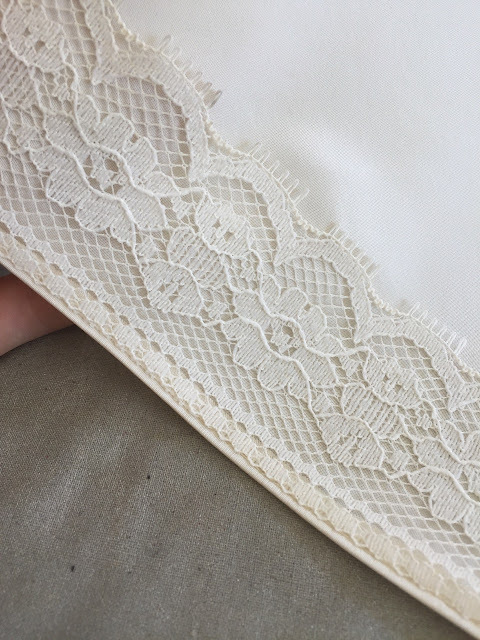 The piping is made from 2" wide bias strips of my ivory silk, folded in half width-wise and basted together at just under 1/4". The strips are then stitched, right side to right side, to the raw edges of the corset at 1/4" and folded to the inside of the corset, where they're hand stitched into place. 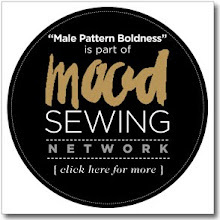 Just pinned, not stitched, but you get the idea. 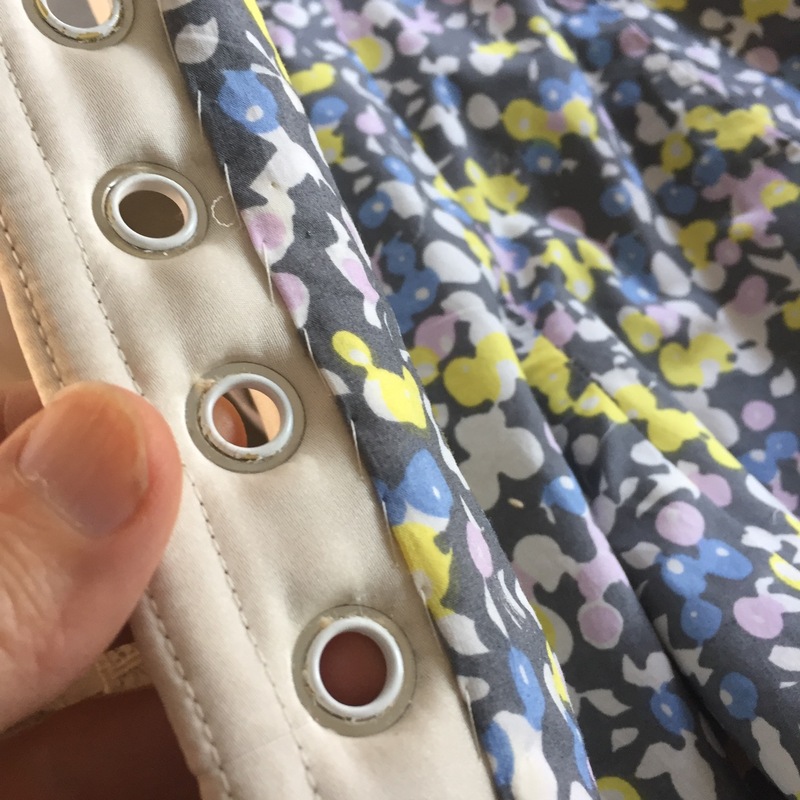 I didn't tell you about my grommets (aka eyelets). 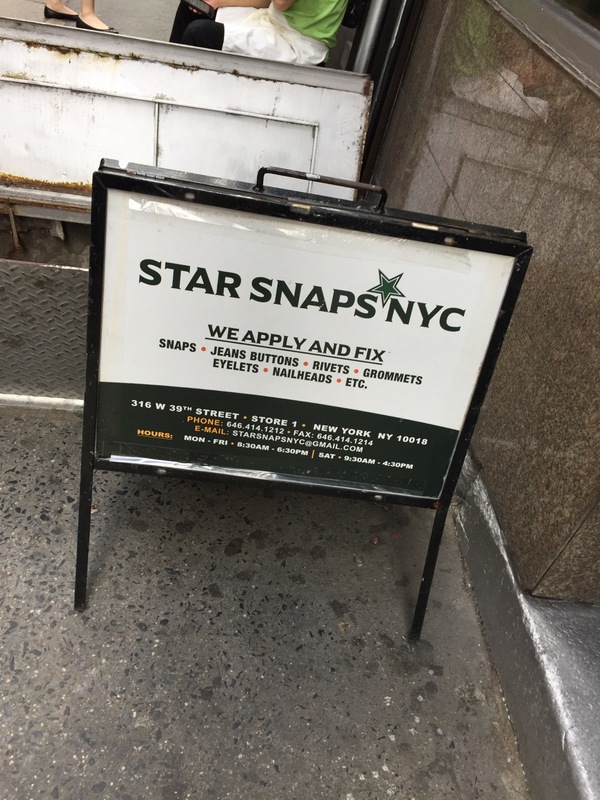 I had them done at a place in the Garment District called Star Snaps. They did an excellent job: 14 white metal grommets for $12. 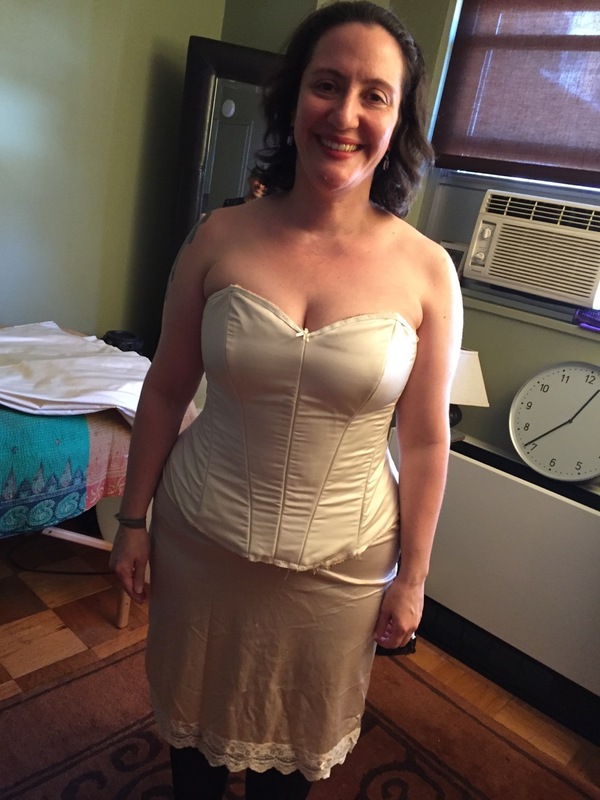 Thankfully they kept the ivory corset completely clean. Christina wants to add a touch of deep purple (her favorite color) to the dress, so there will be a deep purple ruffle on her crinoline as well as deep purple lacing on the corset. The purple lace I tried below, we agree, makes the corset look a bit too much like a Converse high-top sneaker so I think we're going to opt for flat ribbon instead. With the boning inserted, the ends of the channels carefully sealed, and the lining cut and inserted, I was ready to have Christina try the corset on. 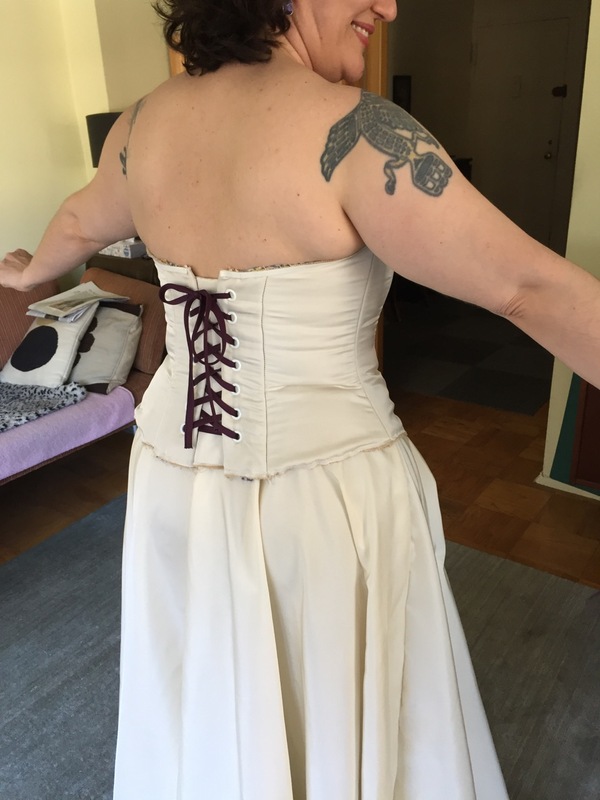 What a difference the boning (and lacing) made: I love the way this fits her! Above: no piping on the corset yet and no crinoline. Since taking this photo, I've learned that corsets are more commonly laced from the top down rather than the bottom up. 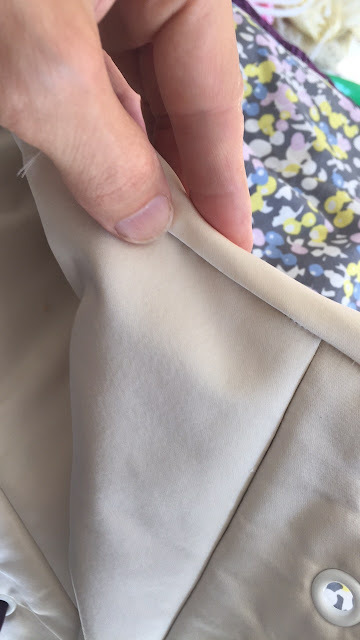 I finished the skirt hem with a lace facing, stitched at 1/4" by machine (right sides together) and then turned under and blind-stitched by hand. 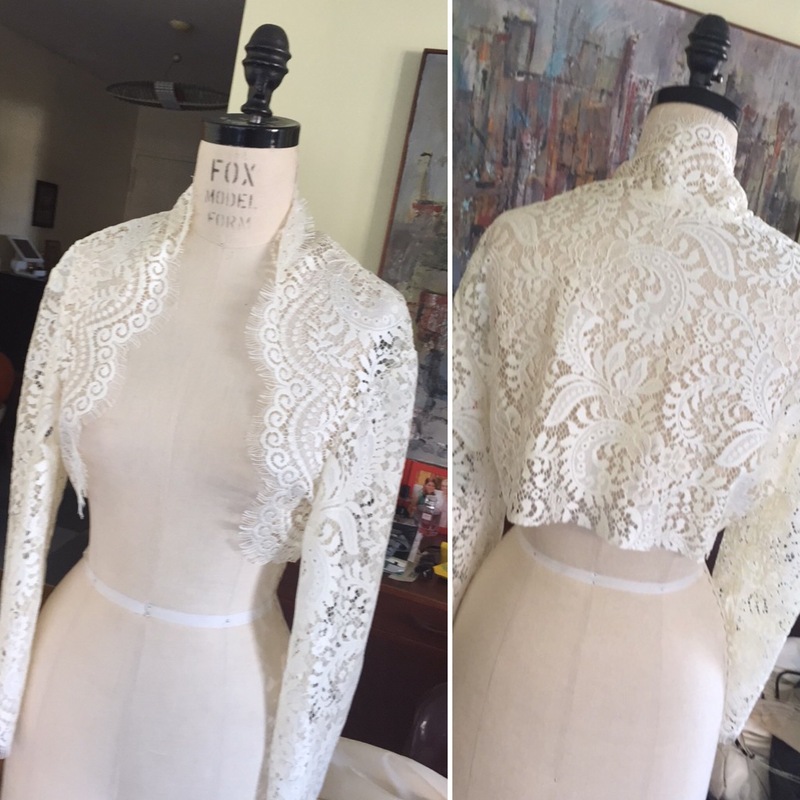 I also made a mock up of the lace shrug using remnants of the lace from Val's dress. 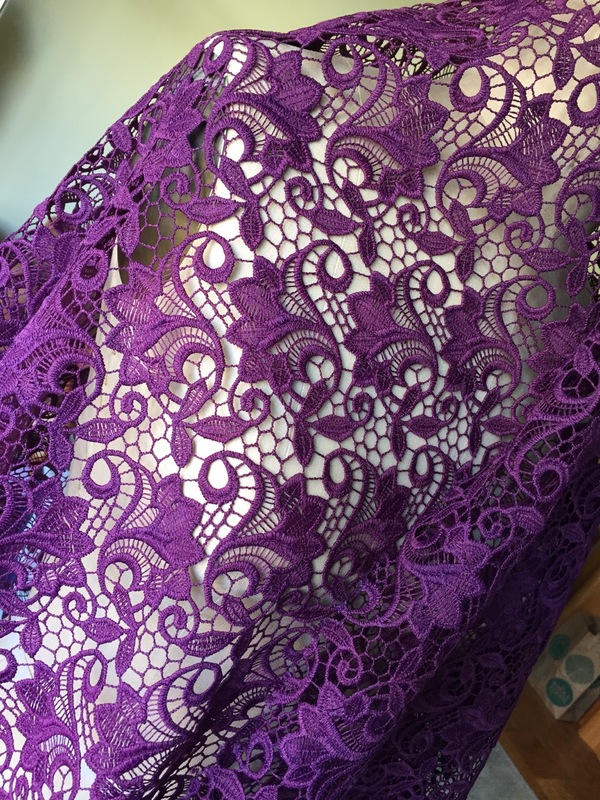 This will be made out of a beautiful deep purple lace I found at Mood (below). 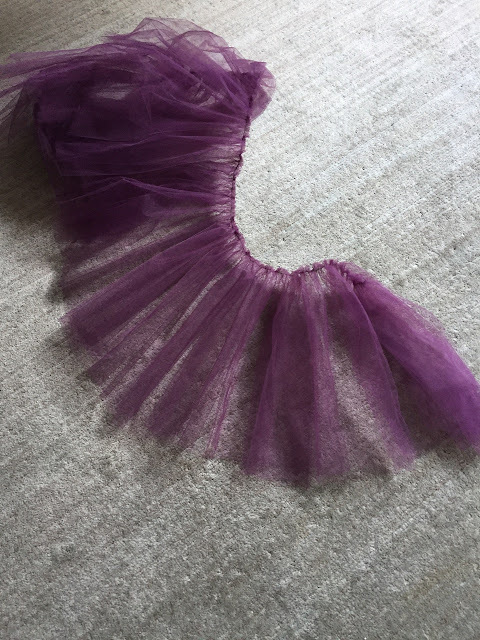 The crinoline is also nearly finished: I have to attach the purple ruffle (below). Thankfully I have a ruffler attachment to make my ruffles! 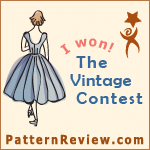 This gown has many parts: the corset, the skirt, the crinoline, the shrug. The corset has been the most exciting piece to make so far. 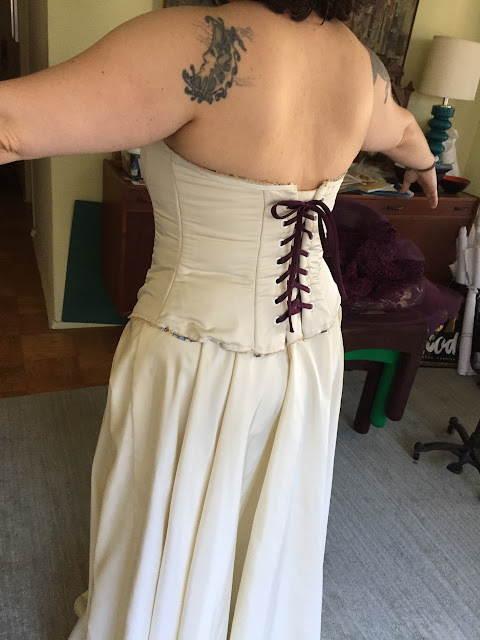 I've learned so much; I could really get into corset-making. And that's it! Three weeks to go before the actual wedding but I hope to have this fully finished by mid-week. So, are the brides-to-be lining up at your door? 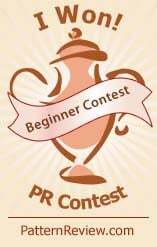 I see a gradual shift to bridal gowns being of the bride's favorite color instead of the traditional white. Always so inspiring! Getting ready to sit down at my 401 and continue working on the women's battle jacket I'm making. 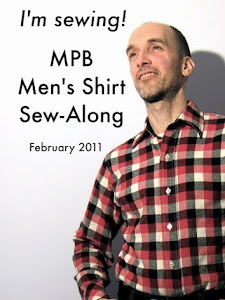 Will ya be showcasing this garment anywhere??? Oh! That is gorgeous! Looking forward to seeing the finished dress. 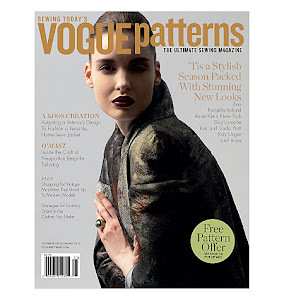 Fabulous photos and explanation of each step! 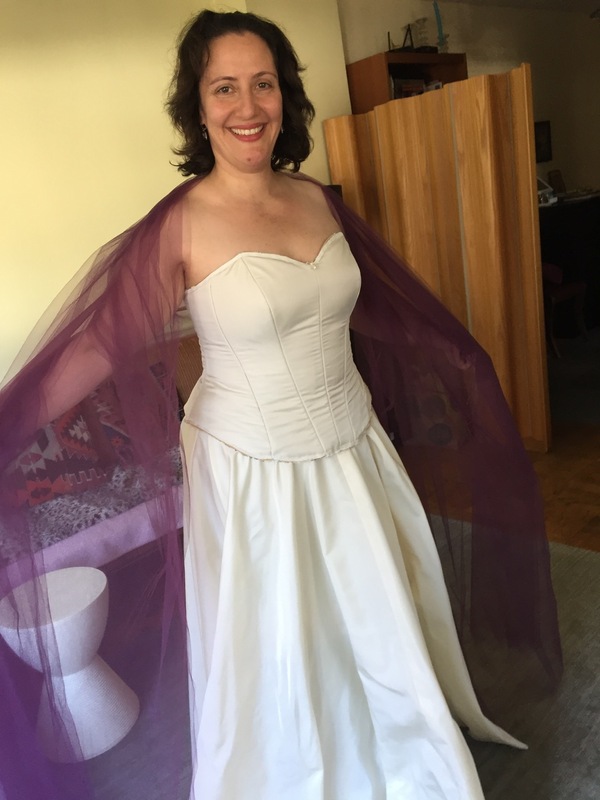 You were warned about getting too good at this wedding dress creating...word gets around and there will be a line of anxious brides standing outside your apartment...beware, Peter. Wow, what a great job you have done on both wedding gowns! My Mom hand crocheted my dress and the trim for my veil, it was a beautiful dress too. So many beautiful and personal touches -- a wedding gown that makes the day even more special. Gorgeous job, Peter. 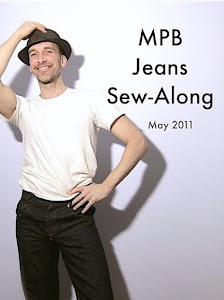 You’ve not blogged in two months. We miss you.